Why Do I Need an Emergency Dentist? It is estimated, one in every six Americans will face a dental emergency each year. As with any type of emergency, the quicker you receive care, the better the outcome. However, only 67% see their dentist immediately. 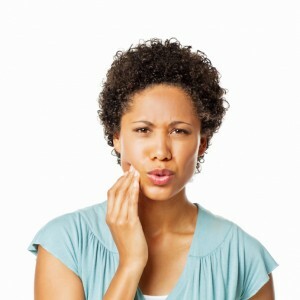 When injury or trauma to the mouth occurs, you need to contact your dentist right away. If you delay care, it could result in irreversible damage. With prompt treatment, we can quickly treat the emergency to prevent the damage and discomfort from becoming worse. We understand just how important prompt treatment is during an emergency, which is why we do whatever possible to get you into the office immediately after you call. We treat a wide range of dental emergencies, while helping decrease your discomfort and pain. When Do I Need an Emergency Dentist? If you are experiencing any of these situations, you need to call our office immediately. We will walk you through the necessary steps to treat the injury at home while we schedule an appointment to get you into our office the same day. Once in our office, we will work to reduce your pain and discomfort. We will perform a comprehensive examination to create a treatment plan. We will repair the damage while preventing any further complications. After your treatment is complete, we will explain your aftercare to help the area heal. At Dental Center of Jacksonville, we know that emergencies can happen at any time. We strive to be there for our patients, which is why we offer extended office hours, including weekends, nights, and walk-ins. We will get you into our office as soon as possible to treat your dental emergency. If you are in an emergency situation, do not wait or try to find a temporary solution. Contact Dental Center of Jacksonville right way.